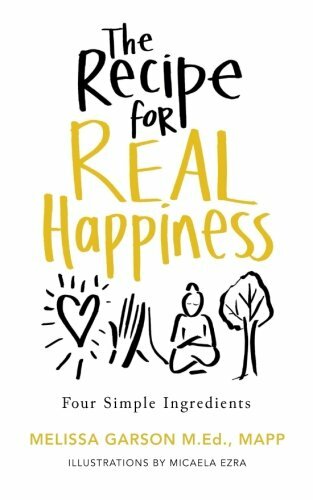 I am beyond excited to let you know that my book The Recipe for Real Happiness—Four Simple Ingredients (Positive Purpose Publishing) is now available on Amazon! This book was such a labor of love. It went through many transformations until I was confident that reading it would help everyone experience more happiness and a greater sense of inner peace! I never considered myself a great writer, I just always felt a deep passion for sharing with others. I’m so proud of this book because it is a quick, easy read that provides valuable, practical ways to incorporate scientifically-proven practices and strategies for living with more love, gratitude and mindfulness into your everyday life. The practices are short—similar to my Motivational Mondays. You may want to read the entire book and then go back and begin doing specific practices, or you can open to any page and do that practice for the day.